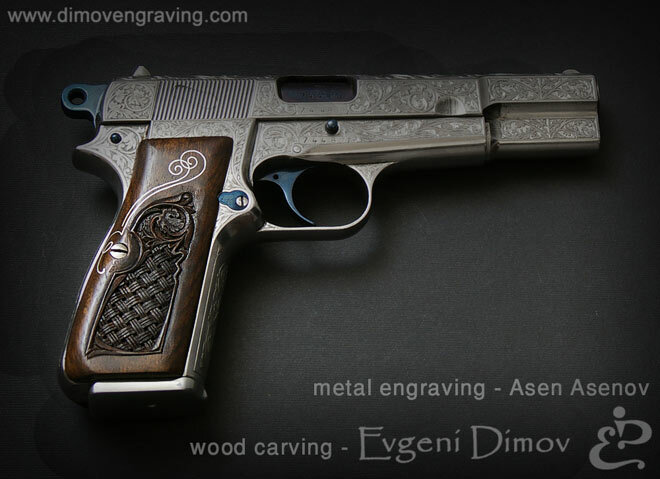 The proposed models are factory made. The custom metal engraving on them is different in type and complexity (1, 2 levels, 3-Dimensional engravings, embossed images, monograms, etc.). The metal surfaces are perfectly polished as they are completely or partially applied with gilding, gold, silver, rhodium, and chromium platings, or anodizing (for aluminum parts),bluing, different in color oxidation and other coatings. 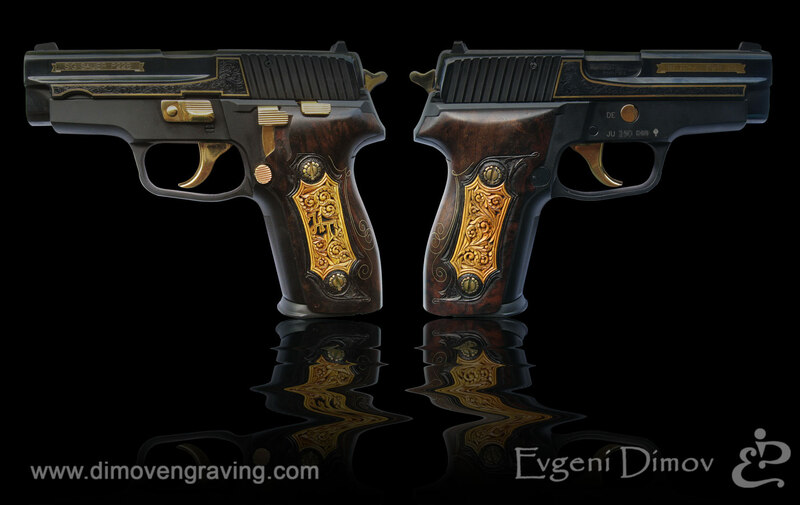 The pistol grips are made depending on the size of the respective gun. The materials used for their construction come mostly from walnut and Box wood. 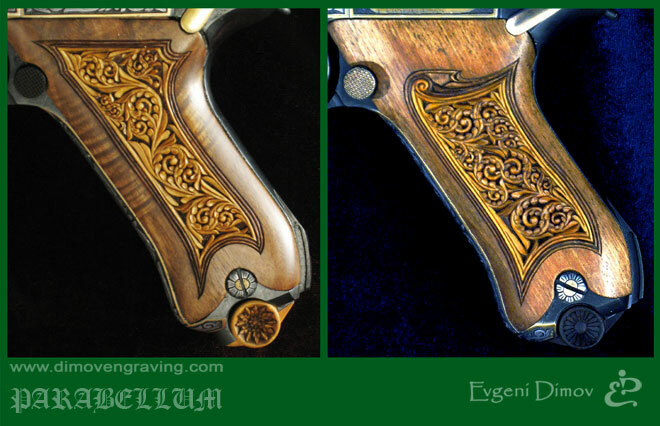 The woodcarving on them can include floral ornaments and animalistic elements filled with “shallow relief” technique. 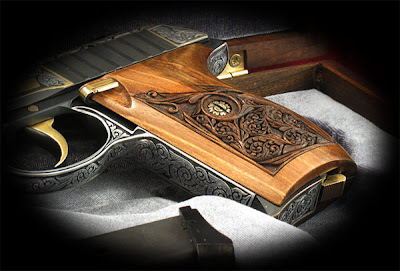 The most luxurious engraved guns are outfitted with a carved walnut box which has a hand-made lock.